Won’t you join us for a couple of hours and a few drinks, all for a great cause! 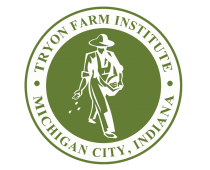 We’ll be hosting a Wine and Cheese Benefit to support the Tryon Farm Institute. As an independent not-for-profit, the Institute relies entirely on the generosity on our donors to support our environmental preservation and educational outreach initiatives. Oh did we mention you get THREE glasses of absolutely GREAT Shady Creek wine?? AND we’ll be raffling off a set of four exclusive private box tickets to a Chicago Cubs home game at Wrigley Field, including parking passes and open bar at and after the game. A $1200 value!!! We are a small, all-volunteer organization, and we need your help! Your ticket purchase for the event is tax-deductible under 501(c)(3) regulations, but more importantly is critical to the annual TFI program budget, helping to bring hundreds of children from local schools and regional organizations to our “outdoor classrooms,” and maintaining and improving our unique acreage of meadows, prairies, pastures and ponds. Purchase your tickets now online! Click here on this link.